The Marine Advisory Program (MAP) is a university-based statewide program designed to help Alaskans with the practical use and conservation of the state’s marine and freshwater resources. MAP is based at the University of Alaska Fairbanks (UAF) College of Fisheries and Ocean Sciences. Through classes, workshops, trainings and other resources, MAP offers Alaskans technical assistance, marine education, applied research and other expert advice on how residents can sustain healthy coastal economies, communities and ecosystems. MAP has about a dozen UAF faculty members and staff living in coastal communities from Ketchikan to Nome. MAP agents are considered honest brokers of scientific information to support community needs. Agents translate complex information for non-scientific audiences while providing information, free of advocacy, to residents to address local needs. 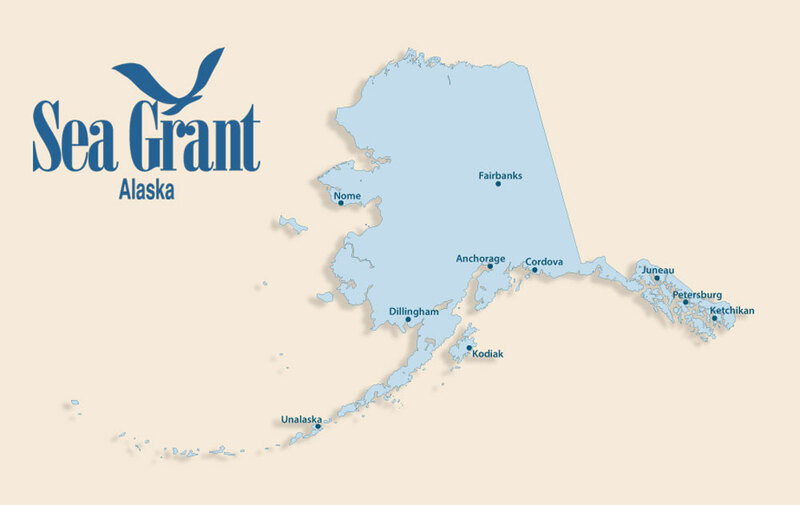 At Alaska Sea Grant, our Marine Advisory agents conduct our outreach and extension work. In other coastal states, Sea Grant calls them extension agents. These agents form the backbone of the National Sea Grant College Program, which celebrated its 50th anniversary in 2016. Watch this video to learn more about how Sea Grant works. Assist coastal residents to diversify their community’s economic base through involvement in ventures such as aquaculture, marine recreation and tourism, seafood processing, and direct marketing of Alaska seafood. Enhance the value of the commercial fishing, shellfish mariculture, seaweed farming, and seafood processing through training and technical assistance. Contribute to the information base of Alaskans who are making decisions affecting the conservation of the state’s marine resources, or who depend on them for traditional, cultural, recreational or nutritional sustenance. Funding for the Marine Advisory Program comes from the State of Alaska and the National Sea Grant College Program, a network of 33 university-based Sea Grant programs in every coastal and Great Lakes state, Puerto Rico and Guam.